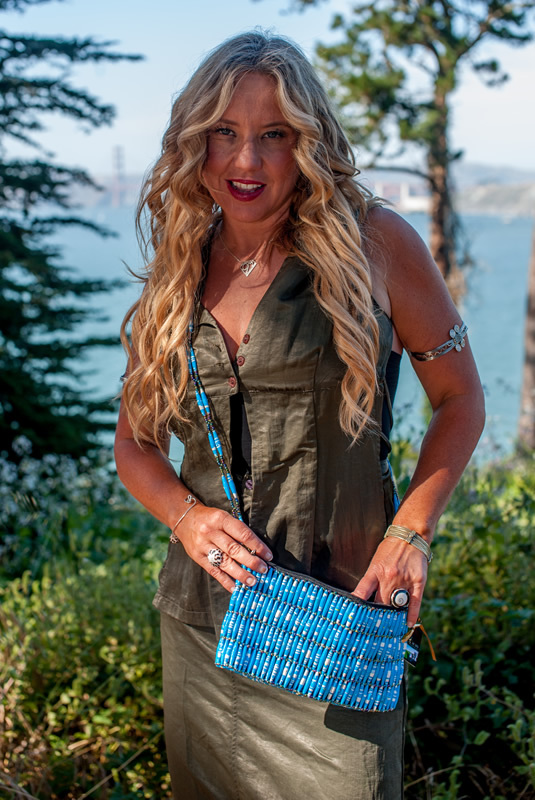 Stun in this beaded shoulder bag, up-cycled in the OneMama village. 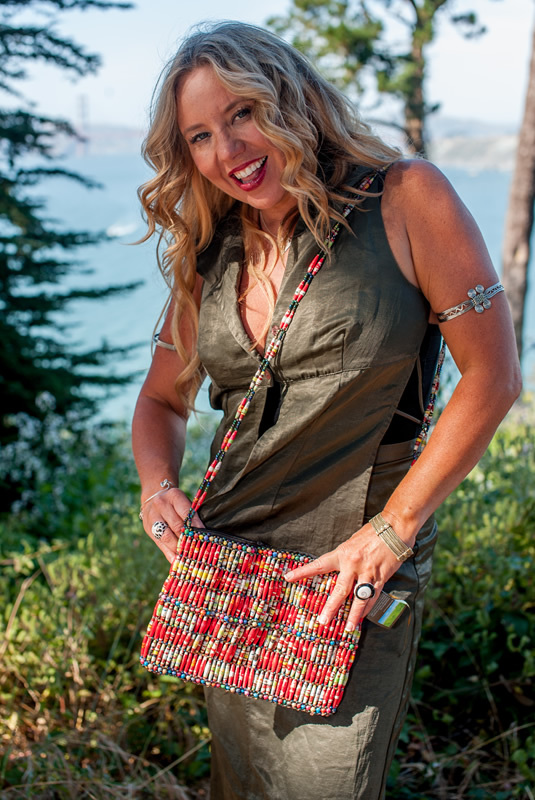 Strands of handmade paper beads are woven into this cross-body bag with zipper enclosure and long strap. 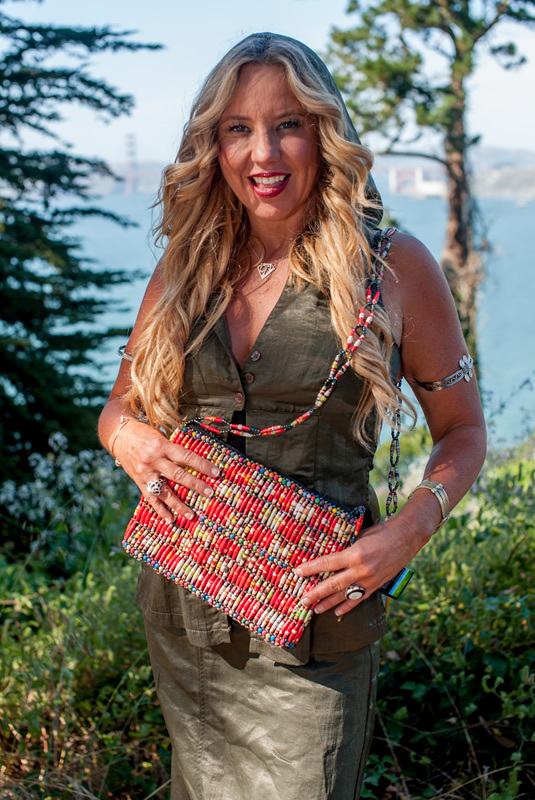 Due to the uniqueness of our paper beads, our bags are one-of-a-kind pieces of art that vary in color and design. Suggest a color scheme you would like for your bag in the purchase notes at checkout – if we don’t have one immediately available, we will custom make a bag in your requested color!